Sure, we all know what wardrobe essentials for work professional women are supposed to have in their closets, but if you’re buying one for the first time or replacing one you’ve worn into the ground, it can be a pain to find exactly the right incarnation in stores. Plus, when you’re a working mom, the focus often becomes machine washable clothes and kid-friendly fabrics and prints. In “The Hunt,” we search the stores for a basic item that every woman should have. 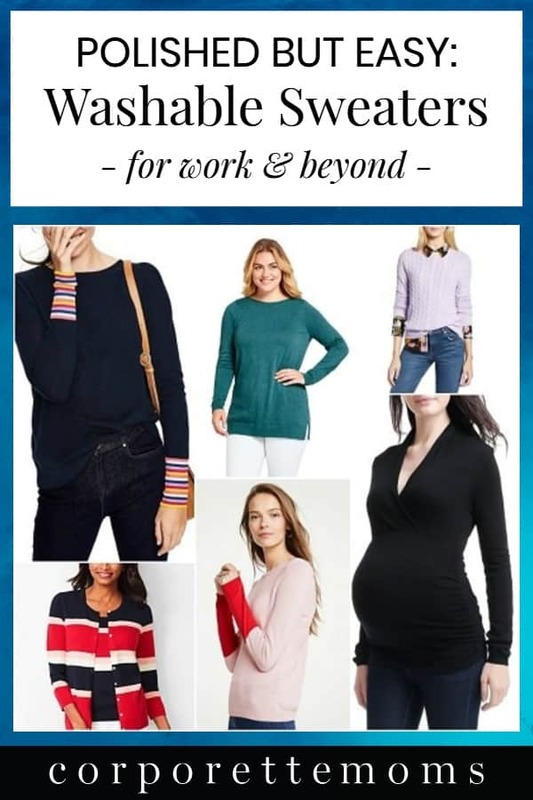 Washable Workwear Wednesdays have been popular since we started CorporetteMoms, and I’m a bit sad to say that I only recently realized we should bring over our Hunt feature to go hunting for washable workwear of a specific type. First up, because it’s coooold outside: sweaters! Ladies, what are your favorite washable sweaters to wear to work? Which styles do you prefer, and where do you find them? Are sweaters one of the few places you’ll go with something with difficult care instructions like dry cleaning or hand washing? (If you are me, “hand wash” generally means “throw in machine in sweater bag on delicate cycle.”) Still: all of the sweaters below are honest to goodness machine washable, mostly with air dry instructions. Um, whoa; this sweater is part of Ann Taylor’s crazy sales happening right now: it was $80, but is now marked to $30, with an additional 50% off at checkout — meaning it’s $15. Nice. I like the contrast detail on the sleeves (a fun detail for under blazers! ), the fact that the sweater comes in three colorways in regular and petite sizes XXS-XXL, and — oh yes — that it’s machine washable. It’s a blend of cotton, acrylic, nylon, and cashmere. 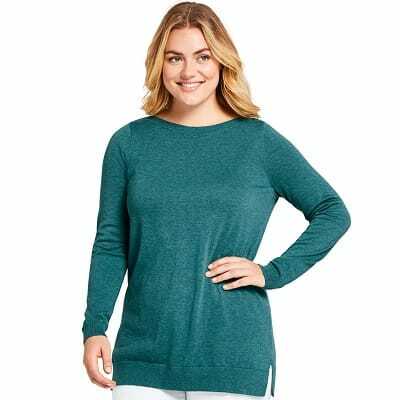 Lands’ End is always a great spot to find machine washable workwear, and this supima sweater (available in regular, petite, and plus sizes) comes down to $35 today from $60. 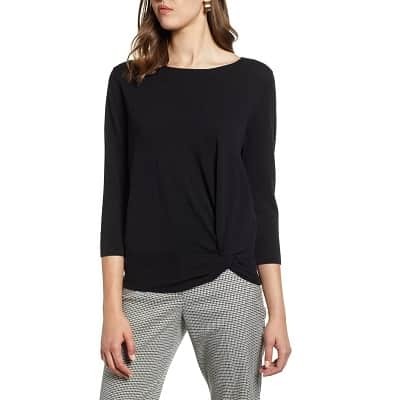 Tunic sweaters can be great for more casual days at conservative offices, particularly with reader favorites like the comfortable magic pants or other slim-fit bottoms. Note that a lot of Lands’ End cotton-cashmere is hand washable, also (which I often throw into the washer on gentle anyway!). 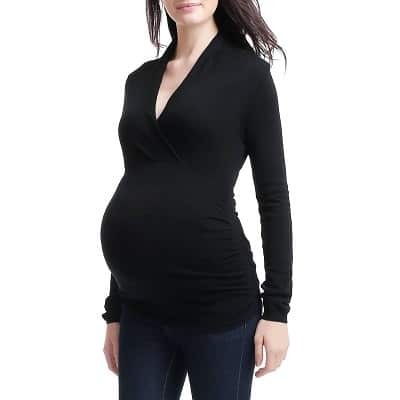 There are actually a ton of maternity sweaters that are machine washable — maybe because so many of them are meant as nursing tops afterwards as well. This sleek option from Kimi & Kai looks great, and it’s on sale for 40% off. Halogen is a great resource for washable work clothes — not only is it affordable, but there are often a ton of sizes and colors to choose from. This lightweight sweater with a twist detail is only $59, and comes in four colorways and sizes XS-XXL, but note that there are a TON of machine washable sweaters from Halogen, including this nice cable-knit crew from the popular Halogen x Atlantic-Pacific collaboration. 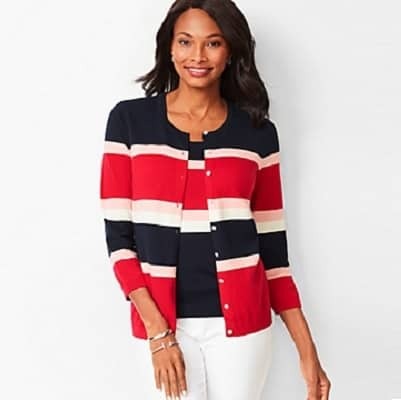 Bringing us full circle, this Boden sweater has fun contrast details on the sleeve like the $15 Ann Taylor sweater — but it’s a slightly more elevated look with fun stripes (to say nothing of the “racing stripe” detail up the back of the sweater). Love. It’s 100% wool with viscose trim, available at both Boden and Nordstrom for $110. Like this feature? 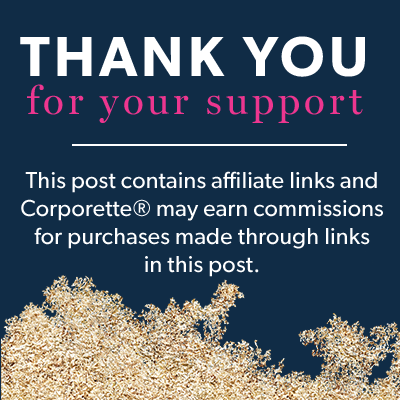 Check out other recent installments here on CorporetteMoms, or on our sister site, Corporette! Guys, my 9 month old is sick all.the.time. Like… always. I know there’s a whole “ah, she’s a daycare kid ” thing but I need to gut check whether this feels normal or if it’s truly just bad, bad luck. We’ve been at the pedi quite literally every other week since Halloween with croup, ear infections, severe coughs, a 9 day long stomach bug of puking/dehydration + IV drips, unexplained/viral high fevers, and a croup-related three night hospital stay. Long lasting significant stuffiness/colds with coughing, too. We’ve done the ENT specialist, and are pursuing that avenue for what might relief down the road via ear tubes. But, is all of this truly just normal “daycare kid” stuff? Is my daycare not cleaning and sanitizing well enough? If this is status quo, cool. My sleeves are rolled up and we’re down for the battle this winter (she’s really the happiest kid through all of this – it’s remarkable). But, can someone who’s had infants in daycare gut check me on this? Do you chat with any of the parents at your daycare enough to ask one of the parents of older kids how often their kid is out sick? To me that would be the best way to figure it out — because I don’t think a ton of sickness is a “daycare” thing, I think it’s a *start* of daycare thing — kids in my two year old’s class, who have been in daycare for at least a year just aren’t sick that often (knock on wood). Our first winter of daycare was like that, sick every single week for months. The next year she was sick once. Our friends who are starting daycare at 2 are in the midst of it now—sick the whole first winter happens whenever you start. It’s so hard, but at least you’re getting it over with. Our pediatrician told us to expect two illnesses per month for the first two years of day care or other group setting exposure. That turned out to be right on. I was very glad we got through the constant illness phase before my kid got to real school where they count absences. +1. Two illnesses per month for the first 2 years seemed to the be the rule for both of my kids, at least during winter months. And now that my oldest is in Kindergarten, several of her friends (kids of SAHPs) seem to constantly be out of school so it seems to be holding true for them as well. One of mine had a particularly bad year with several ear infections, long lasting fevers, rounds of croup, rounds of puking, and a near-constant cough. But the other years seemed to be mainly colds and random sudden fevers or pukes that came and went super fast (so then I hated the 24 hour rule because they were clearly already fine before I even picked them up). So hopefully next year will be much better for you? It’s probably just bad luck, but I think it would be worth making sure the daycare has solid cleaning/sanitizing routines and is also enforcing their exclusion rules. Mine are 7 months and have been in daycare since 3 months – they’ve had snot and the occasional cough much of the time, but we’ve just now hit the first ear infection for both of them, and second fever for one. But then there’s a slightly older child in the infant class who had 8 ear infections in 5 months and already had to get tubes, so I think it’s really just kid-specific. That sounds rough. I’m really sorry you’re dealing with this. Agree that 1-2 illnesses a month is common but that sounds like more than that since October. I suspect she’s more vulnerable to illness if she’s already sick so it’s a hard cycle to end. I’d focus on rest/sleep for her and you whenever possible. Avoid large groups during non-daycare time so you minimize places where she is picking up germs. And lots of fresh air. If you need a light at the end of the tunnel, daycare kids get sick way less than other kids in the early school years. My oldest has only have maybe 5 sick days in 3 years of elementary school. Well, this is not necessarily true. My non-daycare, school aged kids are never sick. We have literally never been to a doctor except for compulsory once a year check ups and immunizations with the nurse. My eight year old has missed maybe three days of school ever and the five year old has missed one in two years and I was being overly generous. They were feeling crappy but not especially sick. I’m sure it’s not every family’s experience but there is research that backs it up. Oh man it sounds like a rough run, but sadly, not unusual. And hey – you haven’t had roseola, or and foot and mouth disease yet (I kid, I kid!). I totally empathize – my kid was out so often I seriously considered quitting my job his first year in daycare because I just could not keep him healthy. It truly truly does get better after the first year. That said – I’d push on tubes if you’ve already had 3 or more /ear infections, they really really help (and pediatricians don’t realize how awful those check/recheck 3 days later appointments are for working parents). You may also want to have your ped keep an eye on tonsils/adenoids, our 2-yr old snored like an old man, and his tonsils looooved to hang onto kid crud. Having those taken out plus tubes seriously eliminated like 75% of the stuff he was getting. I also second the advice to avoid places like kid museums/play spaces/etc. while they’re getting over stuff. I swear my kid got some bug every single time we went to a local kids museum. I think it’s within the realm of normal but it might be worth just having them check out any immune issues. My friend had a baby like that and it turned out he had an immune deficiency that he will/is growing out of, but once they knew that he was just going to struggle, they put him with a nanny and everyone’s life is better. Our kid was like that, with a nebulizer required all the time and ear infections and horrific eczema…turned out he’s allergic to milk and milk based formula. Stopped the milk, and happiest kid ever. Very few illness in the last several years. Uniqlo merino sweaters are around $30 and have held up really well for me with washing on cold (regular cycle with everything else that I’m washing cold) and air-drying. I mean like 3 years holding up well. 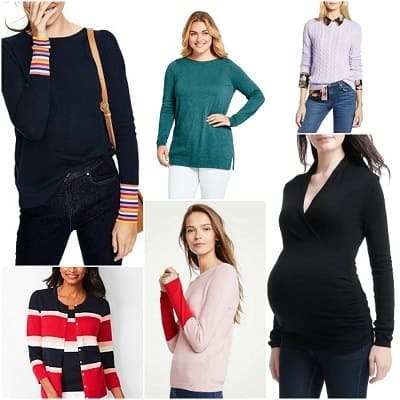 The maternity/nursing sweater here reminds me of something I’ve considered while shopping for maternity wear: are tops sold as combo maternity/nursing actually flattering once you’re no longer pregnant? I never wore ruching before pregnancy and I’m afraid I’d just look like I was wearing a maternity top. But as I’m entering the home stretch (6 more weeks!) and getting tired of my current clothes, I would like to buy some things with dual functions so I can wear them longer than the next month or so. I bought exactly one combo maternity/nursing top and it was a disaster for both purposes. A postpartum belly is loose and floppy, not round and firm like a baby bump. It requires a differently shaped top. I wore one for two weeks straight after delivery. BUT, I was induced and after 30 hours on an IV was really pumped up with fluids, very little besides maternity clothes fit. It took ~2 weeks for most of the fluids to get out of my system. Not sure what the experience would have been if I had gone into labor spontaneously. I actually love my nursing clothing, but I never got nursing clothing with ruching. Some brands are a lot better than others, but there are some creative/practical nursing clothes that are great. I’ve just been picky about what I buy.